Sarah Malin (centre) in The Cherry Orchard at the Young Vic. Photo by Stephen Cummiskey. Can you describe your character in The Cherry Orchard in three words? White toast with marmite and hot chocolate. Sleep and read. And write. France this summer camping. Lots of croissants and swimming in rivers. 20s as a (wealthy) flapper. All that dancing and music. Basically I’d like to be Daisy Buchanan in The Great Gatsby. Sliding through walls – to escape difficult situations. The Cherry Orchard is at the Young Vic until 29 Nov. Watch the gripping trailer here. The reviews are in for The Cherry Orchard. Read below to find out what the critics think and click here to see the amazing audience response so far. TimeOut – read the full review here. The Stage – read the full review here. The Cherry Orchard runs at the Young Vic until Nov 29. Book now. The Cherry Orchard parallel production at the Young Vic. Written towards the end of Chekhov’s life and first performed in 1904 at the Moscow Arts Theatre, much has been made of The Cherry Orchard by all sorts of academics, directors, historians, actors, writers, teachers, students and even politicians. The list could go on, as could the roll call of eminent directors, designers and actors who have variously worked on this great play in some way, shape or form. These include Peter Brook, Peter Hall, Trevor Nunn, Sam Mendes, Howard Davies, Peggy Ashcroft, Judi Dench, Ian Holm, Meryl Streep, Ben Kingsley, Timothy Spall, Diana Rigg, Simon Russell-Beale and now Katie Mitchell and company! It was the play that Stanislavski and Chekhov famously fell out over. Chekhov believed his play to be a comedy yet Stanislavski insisted on directing it as a tragedy. So which is it? A farcical comedy or a heartbreaking tragedy? The truth is that it’s probably a bit of both and this duality is certainly something that we had to deal with as a company. Interestingly, in the introduction to his version for the National Theatre, David Lan made the assertion that genre had always been very important to European writers and that, “In a ‘tragedy’ the hero achieves self knowledge through suffering. In a ‘comedy’ the heroes suffer but learn nothing.” As the unmistakeable and overwhelming sound of a chainsaw floods the theatre at the end of our production and the proverbial curtain fell, the characters in our Cherry Orchard most certainly had not learnt from their mistakes so perhaps in this way has David Lan well expounded it! Another question constantly asked is how much of the play is autobiographical? Chekhov spent many summers as a child at a family friend’s cherry orchard before it was cut down through industrialisation whilst he himself planted and owned a cherry orchard outside of Moscow before that in turn was cut down by the Estate’s new owners. As a child, his family home in Taganrog was sold to pay off the mortgage whilst his mother was also cheated of her home by an ex lodger who paid off her debts by buying their house. No doubt all of these isolated incidents had combined together to partially form the seeds of this play but it is often all too easy to attribute the narrative arc of a play to biographical incidents. Whilst the parallels remain clear, perhaps it is less useful to consider the merits of the play as an insight into Chekhov’s personal history and psyche and more interesting to assess Chekhov’s opinions of these characters and why he has told us the story that he has. Invariably, this leads onto further questions, did Chekhov identify with one character more than the others? How did Chekhov really feel about the shifts in Russian society and politics? To these, I leave to you to make your own minds up… part of the joy and challenge of working on The Cherry Orchard has been to decipher meaning and to make sense of this multifaceted play ourselves- we would hate to deprive you of this same journey and puzzle! As such, what concerned me most, when the Young Vic offered me the opportunity to direct this great play was how we, as a young company, would collectively answer these questions and engage with this famously complex and adult play. It turns out that I need not have worried. The company has been brilliant at approaching this play from day one, questioning and analysing it- and in doing so helping me see the play again for the first time. These young actors have offered a fresh perspective, constantly challenging the established notions and preconceptions of The Cherry Orchard– they have brought themselves to their parts and in that way reshaped the play and provided subtle shifts and nuances so different from other productions. I like to think that our Anya is so much stronger and the relationship with her mother more complicated and realistic. Our Peter has found a revolutionary zeal that is perhaps less faithful to the fallibility of the original text, but brings a new dynamic through his ethnicity. In his mouth, the words surrounding slavery take on a whole new dimension- especially in that isolated scene with Anya. As for our Firs, well he has taken on a metaphysical and metatextual agenda- increasing the stakes between himself and Ranevskaya as well as connecting with us as an audience. This is perhaps not the most faithful rendition of The Cherry Orchard ever created but in tackling their parts and this play, these young actors have never once being cowed by the reputation of the play, writer or characters within it and as a result, what we have is an entirely unique version of The Cherry Orchard. It has been driven forward by the imagination, personality and conviction of this young company as much as the creatives working alongside them. They have embraced the relationships, found new stories and niches within the text and perhaps most importantly, recognised and directly engaged with the themes and questions surrounding social change. The identity of this production is unquestionably theirs and they have been the beating heart of our reimagining and response to Chekhov’s original. I hope we have succeeded in not only capturing the essence of The Cherry Orchard, but also posed some new questions in our interpretation- to those of you who managed to catch it, we hope you enjoyed it! The Cherry Orchard Parallel Production was directed by Anthony Lau. Paul Hilton in The Cherry Orchard at the Young Vic. Photo by Stephen Cummiskey. Lying on my back and breathing. Hot buttered toast or crumpets. Petrichor – the smell of earth after rain. Lleyn Peninsula (North Wales.) Every year for 30 years. Where I End and You Begin and anything else by Radiohead. I wish I could fly. Who doesn’t?! The Cherry Orchard is at the Young Vic until 29 Nov. Book now. 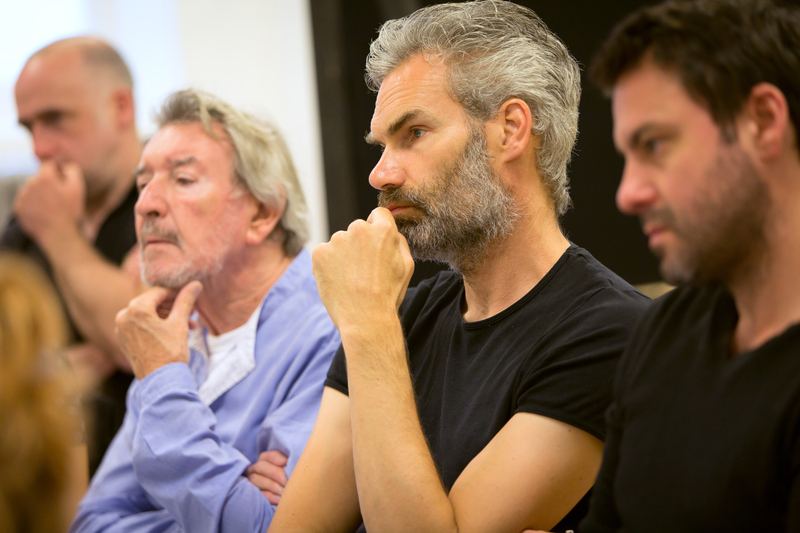 Centre: Angus Wright in rehearsals for The Cherry Orchard at the Young Vic. Preparing the immediate circumstances before the start of the play. What is your favorite play (seen, read or worked on)? Measure for Measure or Cat in the Hat. Pinkelpause. Its the German word for a toilet break. Literally, a pee-pause. A combination of Nitrogen, Oxygen and Carbon-Dioxide. The Stone Age. No commuting. No Facebook. Time travel. So I could re-write some of these answers. Kate Duchêne (Lyubov Ranevskaya) in The Cherry Orchard. Photo by Stephen Cummiskey. What are you usually doing 10 minutes before the show begins?Sitting backstage imagining I’m on a train. ‘Shriveled’ – because it sounds exactly like what it means. Paris. I live there when I was mall and it is still a paradise for me. The farewell song from Cosi Fan Tutte. If you could have been born in any era, which would it be and why?Now is the best time. Flying – I used to have great flying dream. 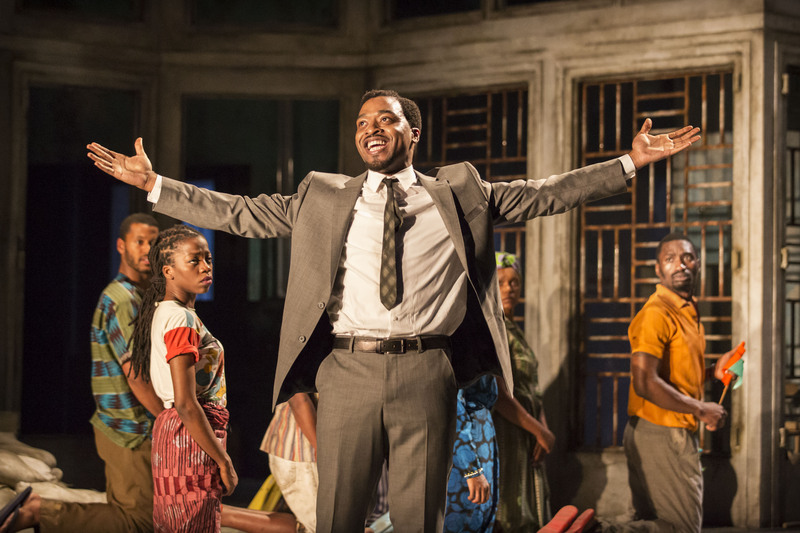 A Season in the Congo – now until 24 August! A Season in the Congo runs until 24 August. Tickets are available at youngvic.org.